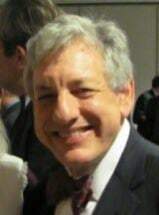 Andy Feinstein has represented children with disabilities and their families pursuing appropriate educational programs for the past twenty years, first in Hartford with David C. Shaw, from 2008 to 2015, as a solo practitioner in Mystic, Connecticut, and, since July 1, 2015, as the owner of Feinstein Education Law Group, LLC. He serves as co-chair of the Government Relations Committee for the Council of Parent Attorneys and Advocates (COPAA), the preeminent national special education advocacy organization and an adjunct professor of special education law at Central Connecticut State University. Attorney Feinstein graduated from Wesleyan University in 1972 and the New York University School of Law in 1975. He completed the Senior Manager in Government Program at the Kennedy School, Harvard University, in 1983. He has served as a professional staff member of the House Committee on Armed Services and Chief Counsel of the House Civil Service Subcommittee. Formerly, he chaired United Cerebral Palsy of Greater Hartford and served on the Board of Community Health Charities of Connecticut for many years. Andy lives in Mystic with his wife Liz Bochain and their grandson Jacob.